As we know, Blade and Soul Mushin’s Tower Floor is open with the Rising Waters update. If ou lack DPS, you need to level up your weapon and Soul Shield until you can. Besides, you need to master your class well for completing Mushin’s Tower. The Poharan soul shield might be eaiser to get before Mushin’s. 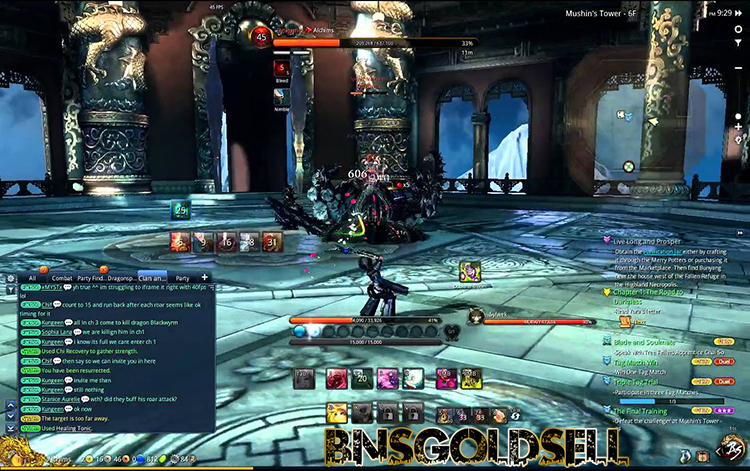 This guide is about Blade and Soul Mushin’s Tower Floor 6 and Floor 7, which will give you an overview of which enemy to expect and what skills to use. There is an especially strong opponent on each floor of the Mushin’s Tower. If you succeed defeating him, you can go on to the next floor. There are 8 floors in total. It is believed that additional floors will be added into Mushin’s Floor in the future. If you already have good equipment, it will be easier to start Mushin’s Tower. Or if you have reach full level, you will be easy and advantageous to play dungeons to improve your gear. The following is a guide on Floor 6 and Floor 7. This is a particularly interesting floor, since you are likely to encounter 5 different opponents. First of all, you can make your way to dealer and buy an essence to the wheel of fortune to use it. You have to combat with a total of the symbols of 4 known bosses from various dungeons on this wheel of fortune. And you can expect a little pig which is easy to defeat. As there are only 8 floors in the Mushin’s Tower, and the difficulty increases with the floor rising. Therefore, it is a little difficult for you. Since the blows from the boss are quite tough, you should try to avoid as much damage as possible. His will summon multiple blades around himself. You should be careful enough to avoid the blade which will fly for a short time to the position where you are located and this damage is quite serious. What’s more, if you stand far away from the boss, he will storm at you. While if you stand too close to him, he will use a Blade Flurry which causes no damage. When the boss does his AoE attack, you suffer problems as there is a little space between his attack and the whirling blades. Also, he has the ability to give you an upward blow that can trigger a great deal damage. 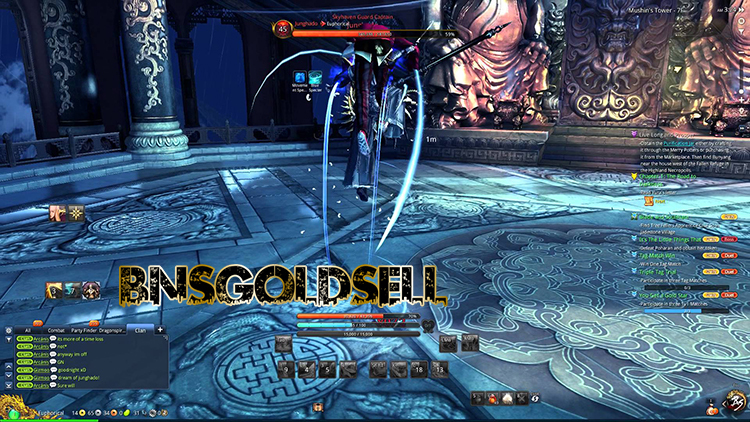 If you want to buy cheap Blade and Soul gold, you can go to BNSGoldSell.com!